/ What is risk profile for investing purpose? When you are planning your investments, just doing what others are doing is never a good idea. Yes, you can invest in instruments which are generating good returns. But you should know your risk profile before committing to any investment. 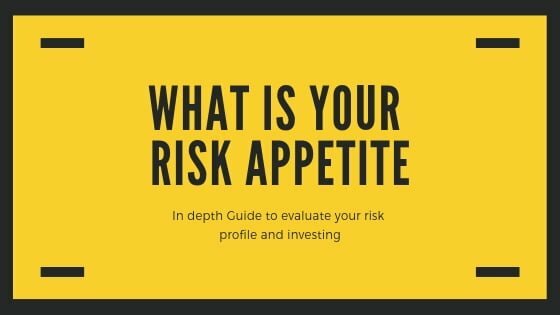 Risk profile or risk appetite is a combination of willingness and ability of risk that an investor can withstand when he decides to invest in any asset.It is not a fixed number. The main categories are: Risk averse, Medium risk and Aggressive risk. Each investment carries a risk on volatility. This risk is reduced by limiting the investment in a single asset and diversifying investments across different asset class. Categorisation of each investor into these categories are based on factors like: current age, financial goals, responsibilities & earning ability. For example a young but sole earning member with responsibilities of ailing parents will have less risk taking ability as compared to similar aged couple where both husband and wife are earning. The other factor is financial goals like higher education, buying home, marriage, kids, kids education etc. are also considered for defining the risk appetite of an investor. On top of every other factor, the willingness of the investor is also an important factor about risk ability. If you are by nature, uncomfortable about or have limited knowledge for certain asset class, then it doesn’t make sense to invest in it. Mostly anyone with age or ability against them fall into this category. Senior citizens or those in late fifties have limited risk capability, hence they are categorised as risk averse profile. Similarly, those with career wise limited skill set or responsibilities nearly matching their current income are also categorised as risk averse profile. In the 2nd group mentioned above, once the earning starts to improve, then the person can move from risk averse to medium risk profile and even further. For such investor, the best investments are debt funds, fixed deposits & Gilt edged securities. Statistically, this is where most of the investors are. Salaried or self-employed in most cases. Medium risk appetite investors have some money left over and above fulfilling their financial responsibilities. This money can be invested in higher risk options where growth options are also higher. People who has taken care of their priority investments like insurance, emergency funds, medical insurance (if not provided by employer) & kids education can now think about investing to create wealth in long term. Thus, the investments they look for is something similar to mid-cap mutual funds, with some allocation to large cap funds. With growing income, a small allocation is also made to higher risk investment avenues. Though this doesn’t qualify them to be aggressive risk oriented investors. Being able to invest in high risk options is not automatic qualification for investing in high risk avenues. Because it also requires a certain mindset. You can read more about high risk investor class in next category. As the name suggests, these are aggressive risk takers as investor class. Ideally there should be no financial liability (at least not immediate), age should be in favour & good income to qualify for this category. Thus to be aggressive investor, you should be both able and willing. Only one part is not sufficient and recommended. Just being willing, if not supported by your finances, is strongly advised against. There are reasons why such investments are called high risk. They carry market risk. They can’t be insured. Risk appetite is sometimes also referred as Risk tolerance. They are similar but they are not same. Sometimes, you have appetite for risk but your finances don’t have tolerance for same. The reason for saying is because, if your investment fails miserably, then you should be able to withstand that. Both financially and emotionally. What we have read above is the broad definition of three main categories of risk appetite. This appetite is based on risk tolerance levels of person as per the factors mentioned. Ideally before investing in any medium to high risk investment, you should have sufficient insurance and emergency funds (equal to 6 months expenditure) in highly liquid form. Then you need to prioritise your financial goals for next 10 years. This way you will have clear idea about how much funds to need at approximate what time. Such investments need to be planned with relatively risk free instruments. Once you have these numbers, on paper (or excel sheet), you will have clear idea how much risk you can take with your investments. Accordingly, you can calculate how much you can invest as per different risk categories. Your current risk tolerance level is not absolute. It can be increased with proper financial planning and execution. As you calculated in previous topic, once you know your current risk tolerance level, you move to next step. Here are the steps you take to increase your risk tolerance and appetite for investing to grow wealth. Emergency funds and short term liquid savings: When you three to six months of monthly expenditure are accumulated, you dependency on other investments is highly reduced. Thus, you can invest with long term wealth creation goals in mind. Important insurance: Emergency fund is to support expenditures which are not covered by insurance. To improve you risk tolerance, you need minimum of term insurance ( around 10 times of your annual income is good figure), medical insurance (family floater is what you should prefer). Side income: As salaried or even self employed individual, your main income is limited. You can’t take that lightly as job market scenarios change when you least expect it. Thus, the best idea is to diversify your income. Work on an idea to develop a side income. With so many avenues available these days, you can work on any of the idea to earn money online. Read about investing philosophies and theories: Here is the list of must read books to learn about investing in stock market for wealth creation. Moreover, more you know about investments, more comfortable you will be when you decide to invest. Start slow: One of the most common mistake that new investors make is to get excited about investing, especially after reading or hearing about someone’s success. Your journey is yours to follow. Start slow and gradually as you develop confidence about your skills, you increase your investments. When you follow these steps, you develop the right mental attitude which is right for investing in any kind of instrument for long term wealth creation. Our attitude to risk decides our investment approach. Understanding our attitude to risk is important because attitude to risk is dependent on our own experiences or experiences of those around us. It is also dependent on what and how we learned about the investments itself. Many times, it is the incomplete learning or understanding about any investment instrument is acts as inhibitor to taking full benefit of the high growth avenues. An in depth look into our own attitude to risk helps in removing biases and also to prevent us from risky investments which may not be suitable for our financial health. Trader’s Pit in committed to spread in depth financial knowledge to make you in-charge of your financial growth. Please feel free to share your views or ask queries in comment section below. You can click the bell button on right side bottom to stay updated about our new posts. Unsubscribe anytime. If you are interested then you can also subscribe to our newsletter for our weekly views on stock market.